The ECtHR has announced its verdict on the case of Güler, who was given an official warning for being absent from his job after attending the May Day celebrations. Turkey has been found guilty of violating the freedom of assembly and association. 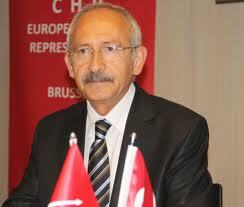 Sadrettin Güler, a member of the Confederation of Public Laborers’ Unions (KESK), attended the May Day celebrations on May 1, 2008. Güler was previously informed that in case he attended the celebrations and was absent from his job, a disciplinary investigation would be launched. After attending the celebrations with the KESK, Güler was given an official warning as part of the investigation opened after his absence on May 1. His objections to the warning were also rejected.